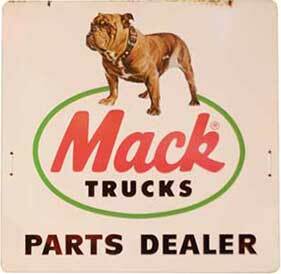 Heavy industrial equipment names reflect the dogged power of the bulldog breed. Many of these names seem more appropriate for male bulldogs. These names must have struck a chord with our users because we have received some great submissions from bulldog owners. Hammer - you can also add the prefix "The", as in "The Hammer". Sledgehammer - "Sledge" for short. Anvil - walking a bulldog is like walking an anvil. Tank - one person submitted "Tanks Alot" as the full name. Someone else had Tanker. Howitzer - beware the fury of Howitzer. Can be "Howie" for short. Skillet - a great under the radar bulldog name. Dozer - short for Bulldozer (user submitted). Lugnut - love this submission! 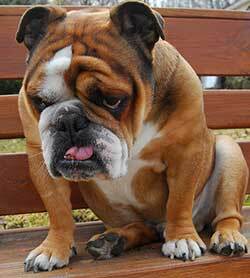 Brick - picking up a bulldog is like carrying a load of bricks in a sack. Diesel - popular submission, as is Axle. Mack - someone submitted this too, obviously short for Mack Trucks. 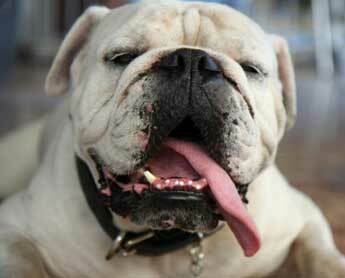 Torque - bulldogs sure have it. If you've ever walked a bulldog, you know what I mean. Sub-Zero - I don't get it but whatever.